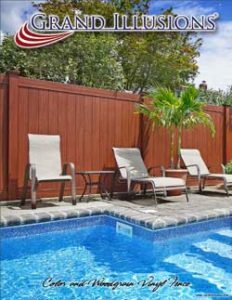 Use this brochure to choose from 35 matte finish colors and 5 authentic vinyl fence woodgrains. Perfect as a 1st look handout to accompany the Illusions Main Product Brochure. 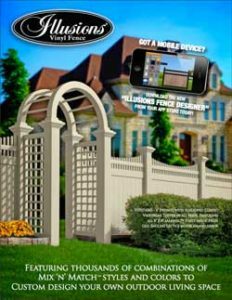 This is the Illusions Vinyl Fence InStock brochure. In many cases, these styles are available for next day NO WAIT shipment. 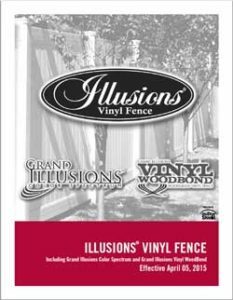 Here is a link to the Illusions Vinyl Railing System PVC vinyl railing website where you can find all the information you need to know about the amazing 35 colors and 4 woodgrains of vinyl railing available through the Illusions brand.